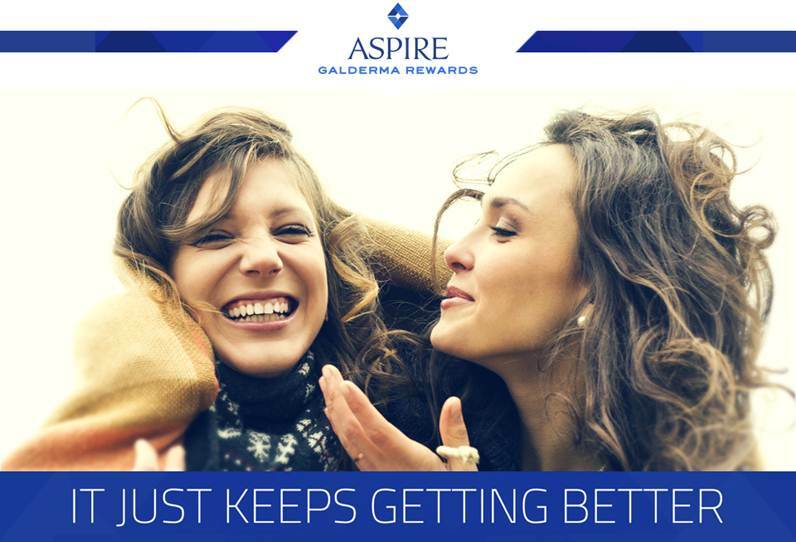 Join the Aspire Galderma Rewards program and earn points for each treatment. It is FREE to sign up and you begin earning discounts, perks and rewards points immediately. 3. 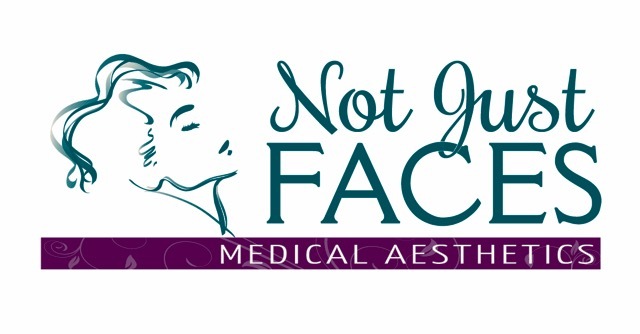 Book your appointment with us. Your rewards are automatically redeemable with us! 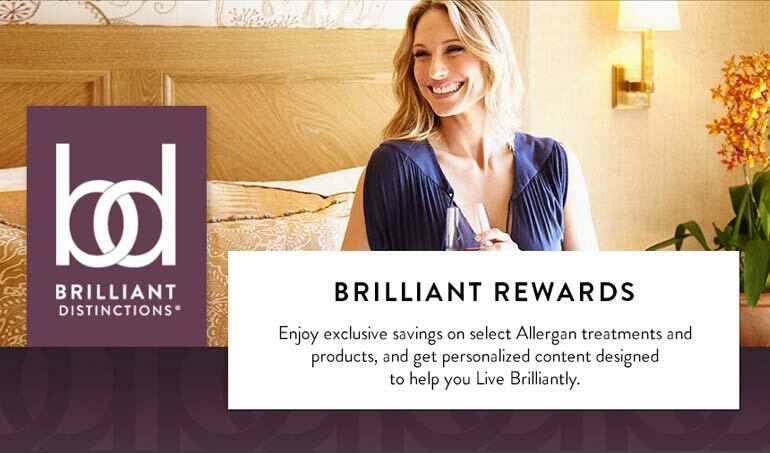 Enjoy exclusive savings and earn points on select Allergan treatments and products. Turn your POINTS into TREATMENTS of products! This program is FREE to sign up and you begin earning discounts, perks and rewards points immediately. Pay for your treatments over time with no interest with CARE CREDIT. 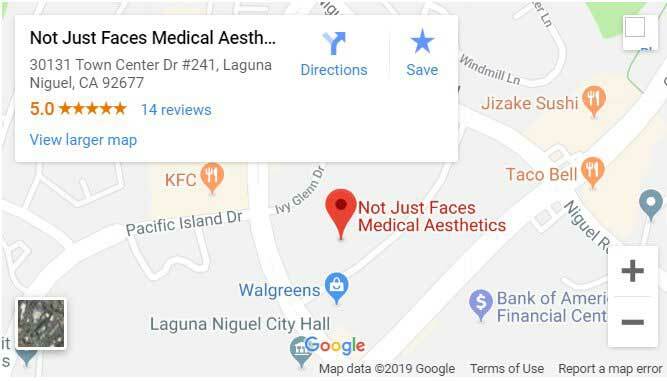 ​and Juvederm Voluma. Your CareCredit credit card may be used for the purchase of dermatological skin care products and sunscreens.